From snowy trails to secret swimming holes, this hardy-sized Hydro Flask 20 oz Coffee Flask will keep you fully caffeinated every step of the way. Made with TempShield™ double wall vacuum insulation, your coffee will stay piping hot for up to 12 hours or cold brews icy for up to 24. 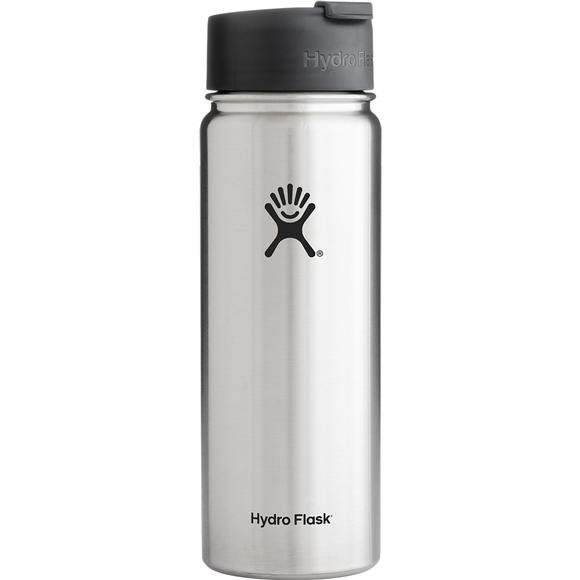 From snowy trails to secret swimming holes, this hardy-sized Hydro Flask 20 oz Coffee Flask will keep you fully caffeinated every step of the way. Made with TempShield™ double wall vacuum insulation, your coffee will stay piping hot for up to 12 hours or cold brews icy for up to 24. And our professional-grade stainless steel means there&apos;s never any flavor left behind or transferred to your next drink. Hydo Flask search changed my mind! I was doing a general online search for a specific size and color to replace a hydroflask my husband lost. Had never heard of this company but price was more in line with what I could pay. And they had the right size, AND the right color! But were they for real or too good to be true? I was bold and placed the order, hoping it would be here by July. I was shocked when the order confirmation gave me a very close delivery date estimate! And I was SO happily surprised when it arrived early. I kept it tucked away a few days thinking I could gift it on Father's Day, but when my husband was searching the internet for a replacement, and not finding anything affordable, I was so blessed to be able to give him a gift early! So now we have a new go-to online site to order so many things! Thanks for great product selection, fantastic prices and attentive, quick turn around of orders!